The Redstone update, set to eventually hit Windows 10 Mobile handsets, will apparently add a camera button to the lock screen of updated devices. The camera app is turned on by holding the camera button for more than one second while on the lock screen. A vibration is felt and the camera app is open. There is talk that the new feature will appear in next week's Insider build. The idea is to allow those sporting a phone without a dedicated camera button, the opportunity to have a shortcut that allows them to get to the camera quickly. At this point, the lock screen camera button is not customizable, but we could see new features added prior to the release of the final version of Redstone. In addition, only Windows Phone models with on-screen keys have the camera button available. This also is subject to change before the Redstone update is final. 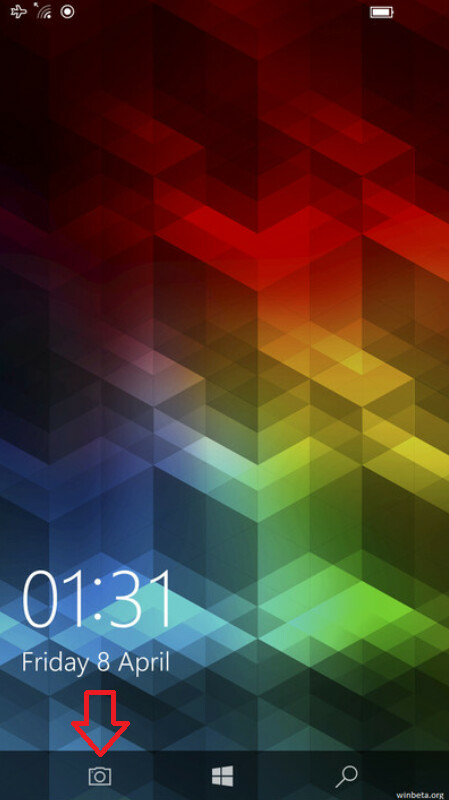 You can hide the lockscreen. it's no big deal! In another 6 months, next "big" Windows Phone update: Microsoft adds second notification bar. Much Wow. Maybe in 2020 they'll finally add the ability to have contacts with more than 3 emails...still not even possible in Outlook.